Cadillac Service and Repair in Walnut Creek | Frank's Auto Service & Repair, Inc.
Cadillac is one of the oldest automobile makes in the world – it was first built in 1902, over a hundred years ago. At Frank’s Auto Service we have been serving Cadillac owners for over sixty years. Our Walnut Creek Cadillac repair shop can provide a full range of Cadillac service and repairs. From minor service, to major repairs, our nationally ASE certified technicians have the experience, skills, and the latest equipment necessary to repair twenty first century Cadillacs. 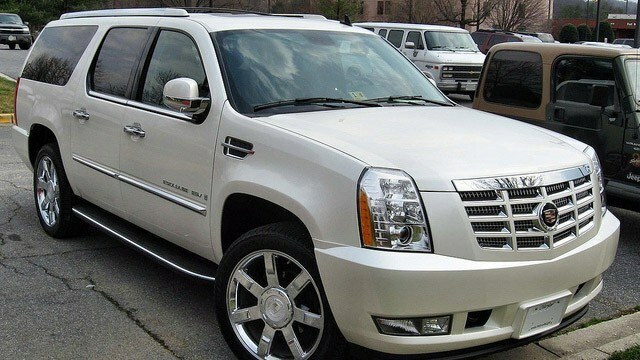 Cadillac line encompasses coupes, sedans, as well as fully sized SUVs. At Frank’s Auto Service in Walnut Creek we offer Cadillac owners superior service, and superior quality repairs. Convenient appointments allow you to drop off your car, and continue with your day. For your convenience, we also provide free local shuttle service. We strive to make Cadillac maintenance as convenient as possible. We do recommend following Cadillac factory recommended service schedule – it not only keeps you vehicle in top shape, but also allows us to inspect belts, hoses, tires, and other systems on regular basis – this gives us a good view of the overall health of your car. the requirements to maintain manufacturer warranty in force. Naturally, In addition to routine maintenance, like brake pad replacement, AC recharge, or oil service, our full service Walnut Creek repair shop can tackle more complex repairs, like oil leaks, radiator leaks or replacement, cv joint, shocks and struts, electrical system diagnostics and repairs, battery replacement, timing belt replacement, water pump repair, failed fuel pump, check engine light diagnostics and repairs, evap leak, coolant leak, TPMS sensor replacement, oxygen sensor and other sensor failures – and these are just a few of the problems our technicians can repair or correct. Visit us at Frank’s Auto Service, and you will be greeted by our friendly staff, and will experience Cadillac service and repair done right. For your convenience, you can set up an appointment online, or simply call us to schedule an appointment.